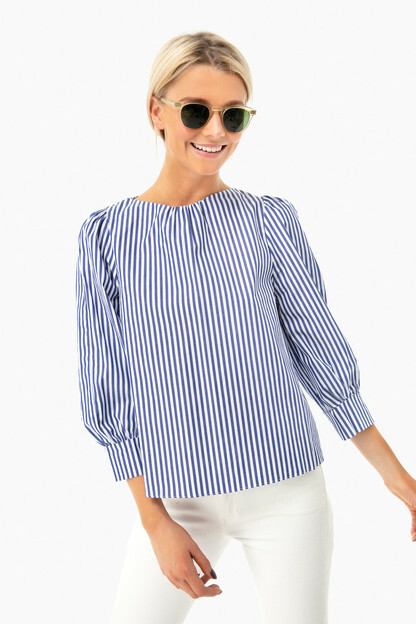 Lightweight and breezy, the Charley Popover has the same classic look of a chambray button down, but with a fun updated peplum hem! 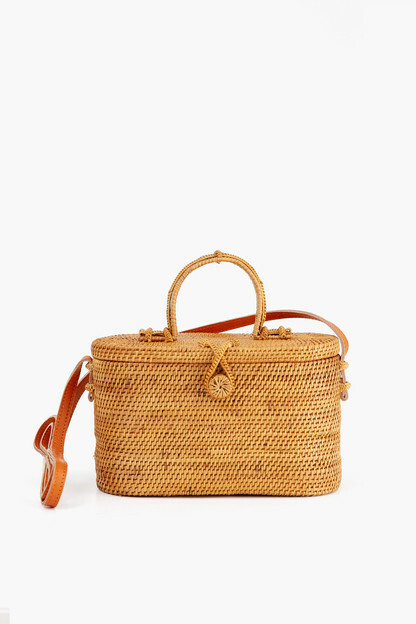 Pair with white jeans and sneakers for a relaxed nautical look! So happy I found this top! 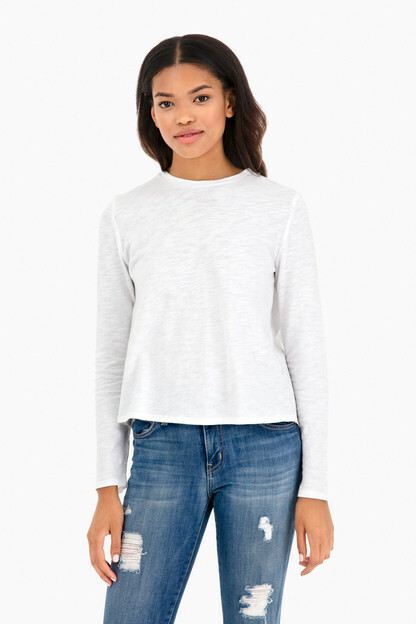 Such a cute top, perfect for any season! Love the boxy shape. Wrinkles really easily though, which is kind of annoying but nothing a steamer can't fix between wears. I ordered a second Incase something happens to my first. Love this shirt. 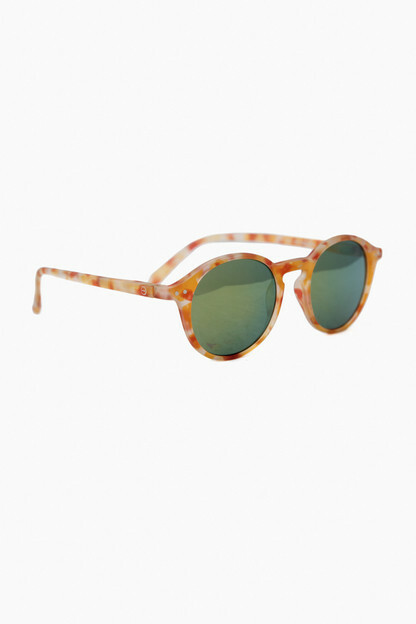 Goes with everything and fun and playful. Ordered a S and fit great (5’2). I was searching for a chambray shirt that had a little more style than the basic button down and this fit the bill. I love the shorter hem line and swing fit of it. I’ll be wearing this a lot this Spring. I found it to be too short for me and a little tight in the shoulders. Can’t wait to wear this shirt to a tailgate! Chambray color is perfect for fall and fabric is very soft! Love the relaxed/casual fit! A little boxy but cute! Love pairing this shirt with white shorts/pants! 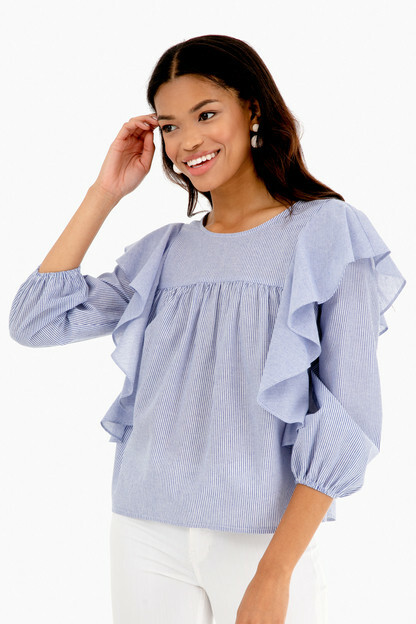 I LOVE this style of shirt, and a chambray peplum is a cute addition to any wardrobe, but I found this shirt a bit too short, which made it seem boxy and not super flattering, especially on my wider shoulders. I tried rolling the sleeves, which made it a bit better, but I found that the more I moved around, I was fidgeting with the shirt too much to keep. A great new addition to my closet, my only complaint is that the sleeves are too short for me so I have to roll them up/cuff. I had a similar problem with another shirt from the brand, but hasn't stopped me from buying more. 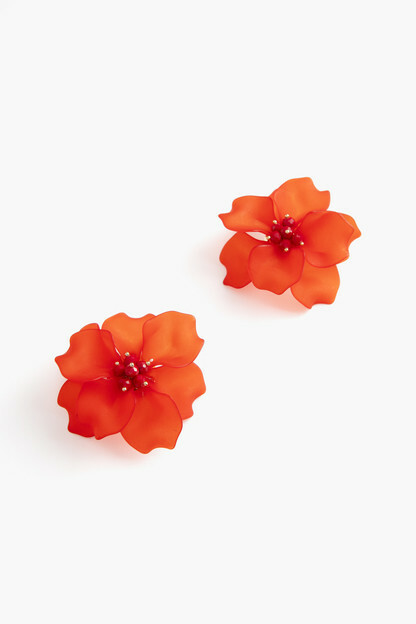 Very soft material, very cute. I love this shirt. I can tell I will get along of wear out of this . This top is precious. 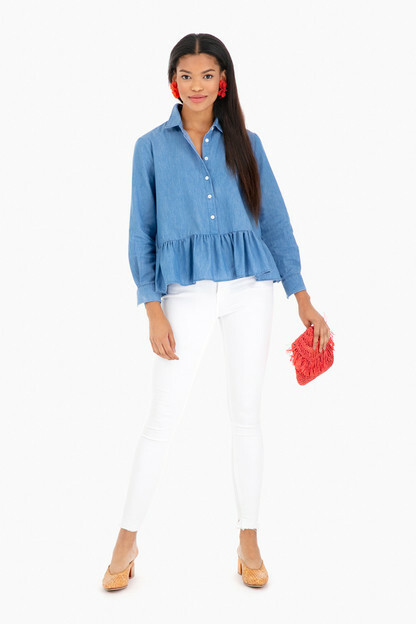 Takes the classic chambray and marries it with the ruffle trend. 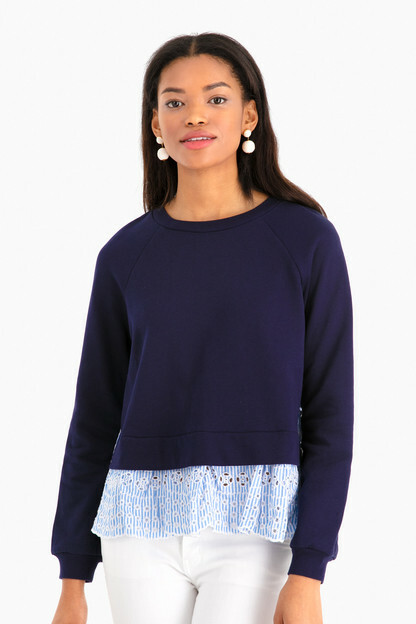 So flattering and can go with literally everything. Its still 90 degrees in Texas, but I have already worn it! Can't wait to wear it all Fall! Such an easy peace for season transition! It's very flattering and fits great, even on my small frame. 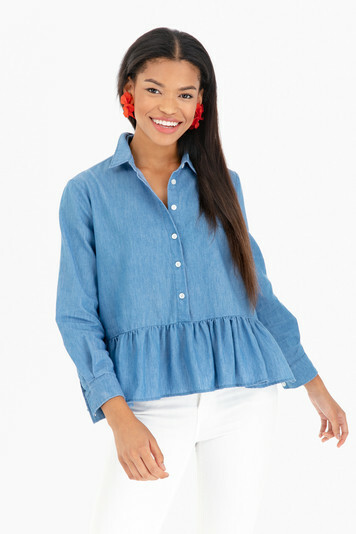 This is the perfect chambray top. The material is so comfortable and the cut is cute and flattering. I am a true size small/4 and the small is the perfect fit. 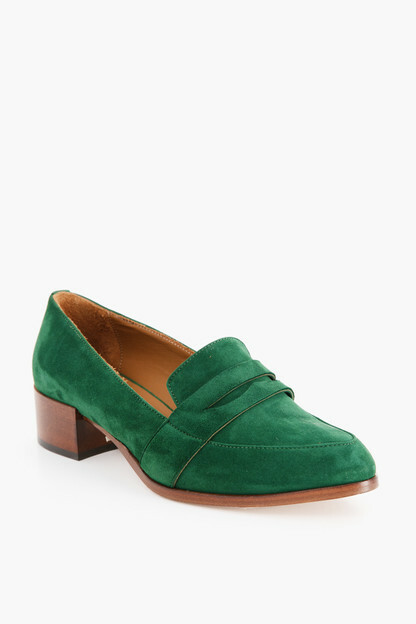 I wear it with white jeans and will definitely pair it with black jeans as the weather cools down. Highly recommend!! I received this top as a gift and I love it. It's such an easy throw on for work or the weekend. So comfy, but very flattering. I normally wear a small in tops and this fits true to size!